As you’ll notice on my blog, I do quite a bit of Vietnamese cooking, and I share many of my favorite Vietnamese recipes. The reason? Simple. I am a purebred Vietnamese girl. Growing up, my mother only cooked traditional Vietnamese meals for our family. We were the stereotypical family. Pho, Bun Bo Hue and other time-consuming soups on the weekends; rice and sauteed vegetables or braised fish or meats on the week days. My parents also grew traditional Vietnamese herbs in the garden, so I ate a lot of vegetation growing up. Hence, I was never over 100 pounds. I only had American food at school, or perhaps a few times a year at Captain D’s. As you can imagine, when I went to college, I went crazy with eating as much American and Western food as I possibly could and rarely any Vietnamese. American food was new and exciting. The fat was heavenly, and for once, I was eating something other than rice! But then, of course, I gained a bit of weight with eating all American cuisine most of the time. I went on an anti-rice spree for awhile, avoiding anything that was possibly related to rice. When I moved to St. Louis from Nashville in April of this year, I suddenly started to get homesick for my mother’s Vietnamese cooking. I’m not really sure why. I had been living on my own for at least four years, and eating American food the entire time. Perhaps it was because I was finally away from my mother, who now lives 300 miles away. 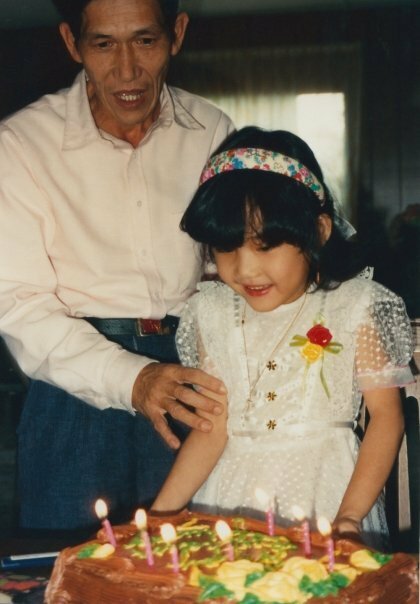 Funny that it took me until I was 27 to realize that I wanted to go back to my roots and learn to cook Vietnamese food. Not only is Vietnamese food better for you – less fattening – but also it fills me up more. And it helps me stay my size zero figure. My home sickness for Vietnamese food probably also stems from the fact that Saint Louis has the worst Vietnamese restaurants. Although there are a dozen Vietnamese restaurants in the St. Louis area, all of them prepare very lackluster dishes. The food is to appeal to American palates, but not Vietnamese. They are not authentic at all. It’s similar to eating tomato soup out of a can, compared to eating the homemade version. Nashville, on the other hand, has excellent Vietnamese restaurants. We only have two or three places to eat, but they all provide pretty authentic, good quality dishes. So now, I do a lot of Vietnamese cooking at home, because I crave it and I do not want to waste money out at the bad Vietnamese restaurants in the area. Cooking primarily Vietnamese dishes has actually saved me quite a bit of money as well. Buying food at the Oriental store is much cheaper than at the American store. And because I grew up on my mother’s home-cooked Vietnamese meals, I am a pretty awesome Vietnamese chef. I know what the dishes are supposed to taste like, so I can adjust my seasonings to suit my taste buds.